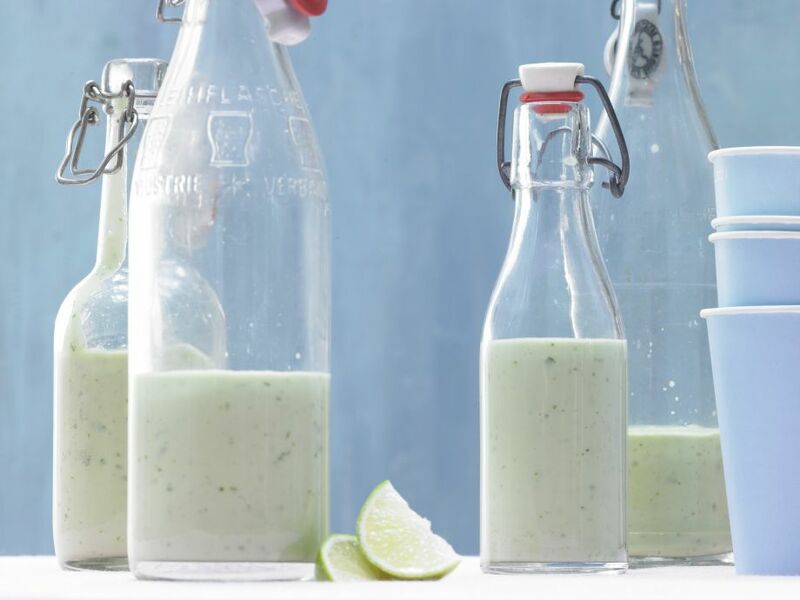 Simple, spicy, invigorating - avocado smoothie is a super drink! 1 Rinse cilantro, shake dry and pluck leaves. Rinse scallion, pat dry and cut into thin rings. 2 Halve avocados and remove pits, then scoop flesh into a blender along with cilantro and scallion. 3 Squeeze juice from lime. Add 3 tablespoons juice, wasabi paste, kefir and yogurt to the avocado mixture. 4 Purée in a blender (or with an immersion blender), gradually adding ice cubes. Season with salt and pepper, pour into glasses and serve.